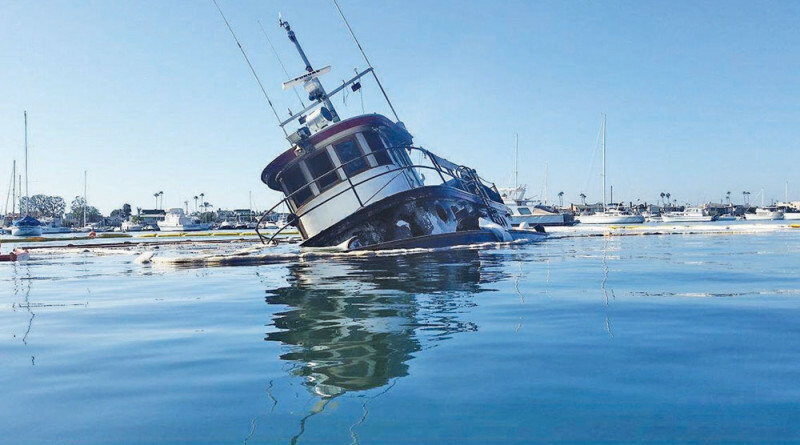 NEWPORT BEACH — A 77-foot wooden tugboat sank in Newport Harbor after it reportedly caught fire in the early hours of Oct. 31. Orange County Sheriff’s Department confirmed William B, a tugboat built for the U.S. Navy in 1943, was fully engulfed in flames near Newport Harbor Yacht Club at about 2:45 a.m. on Oct. 31. Lt. Jeff Hallock of the Sheriff’s Department said William B was fully engulfed when first responders arrived on the scene. The blaze took firefighters about five hours to put out; flames were doused by about 7:45 a.m.
Hallock said officials are still trying to determine the cause of the fire. 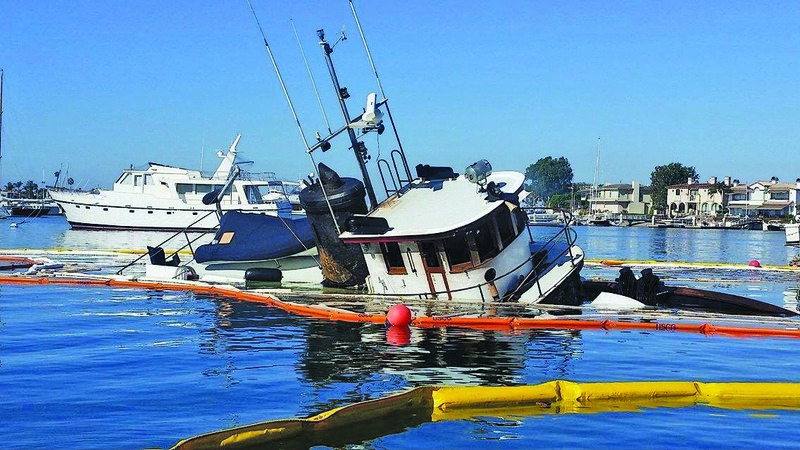 The boat is a total loss. 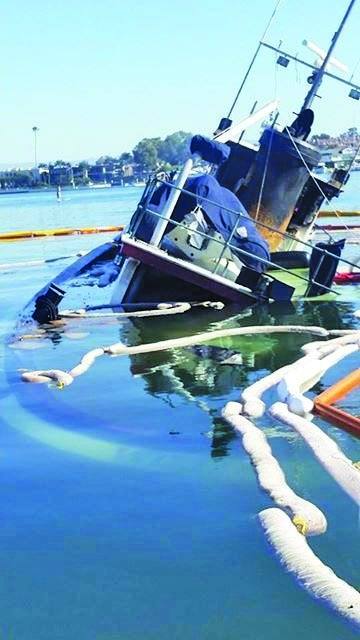 William B was partially submerged after the fire was put out, Hallock said. There were no reports of injuries or deaths. According to a Facebook post, the tug has been owned for the last 28 years by Gary Hill, who operates a fuel dock in Newport Harbor.